Soil scientists are engaged in research of soil management system under public and private research institutions for the enhancement of soil knowledge and variety of other professional activities which involve direct applications of soil science knowledge. Soil science is the study ofchemical, physical and biological properties of soilin natural environment along with spatial variability across the landscape. 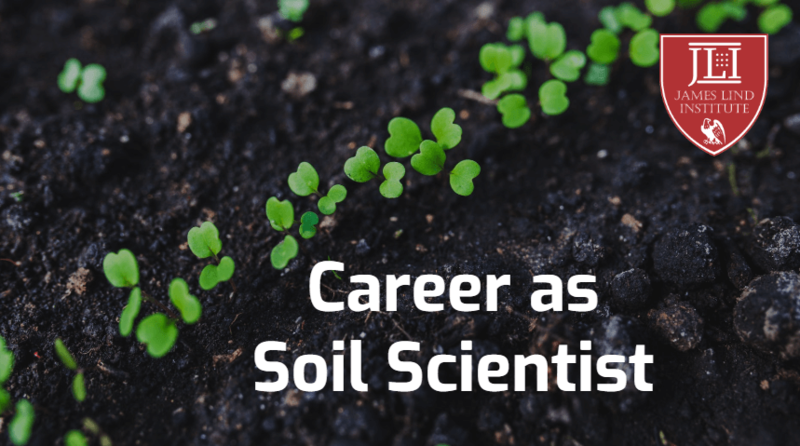 Soil scientist is qualified to evaluate and interpret soil-related data for the purpose of understandingsoilresources which contribute to the agricultural production, environmental quality and protection of health of human or environment. A soil Scientist should have a good amount of knowledge and understanding of the soil environment, soil forming factors and soil morphology; chemistry, physics and biology of soil and dynamic interaction. Through a degree in soil science or closely related fields of natural resources, earth or environmental science with sufficient soil-related course work, a person can identify and manage soil for agriculture, forestry, rangeland, urban uses, ecosystem, and mining reclamation in environmental friendly way. Activities of soil scientist include management of soil for land enhancement in mine reclamation, landscape design and site restoration; investigation and evaluation of soil for environmental endangerment assessments, natural resource management of wetlands, forest soil along with evaluation of ecological and archaeological sites; assessment of soil for the application of non-hazardous process in waste residue and sludge management along with suitability and distinct engineering of sites for on-site disposal of residential waste; investigation of environmental hazards; evaluation of chemical fate and transport phenomena, hazardous waste sites involving soil investigation techniques and suitable remediation alternatives; regulation of land and soil resource usage for private or public interests and government agencies; management of forest products, agricultural soil and erosion control; modification of nutrient and water availability to plants. Suitability studies of land development including moisture retention or drainage, soil stability, sustainability and environmental impact. All these activities require trained soil scientists, having knowledge of soil systems applicable to regular practice. Colleges and Universitiesoffer courses in Soil Science, Environmental Science, Crop Science and Agronomy. University graduates with a degree soil science can pursue careers in various basic and applied sciences to become prominent members of interdisciplinary groups for the evaluation of natural resource management and environmental quality issues. Soil scientists are accountable and responsible professionals of science and technology for proper management of land and usage of water or soil resources. Graduates maybe employed in private or public research institutions, universities, mining industries, consulting firms, state or federal conservation agencies and regulatory or land management bodies for conducting research; managing soil for forest products, crop production, erosion control management, landscape design, mine reclamation and site restoration; and prediction of the effect of land management for natural resource management; helping to design hydrologic plans in suburban areas; evaluating nutrient and water availability to crops; teaching in colleges and universities; regulating usage of land and soil resources for public and private interests. They are employed to get involved in judging soil resource usage or evaluating impact of cultural activities and land-use planning on soil. Soil scientists explore and seek to understand resource management; acknowledging registration, certification or licensing processes;and educating individuals in various disciplines of soil science and engineering. James Lind Institute (JLI) will soon be launching Agriculture related courses emphasizing on Agribusiness to understand on modern agricultural practices.